Melanie Mark grew up in one of Canada’s poorest neighbourhoods, bouncing around the social housing system while her mother struggled with addiction and her siblings lived in foster care. 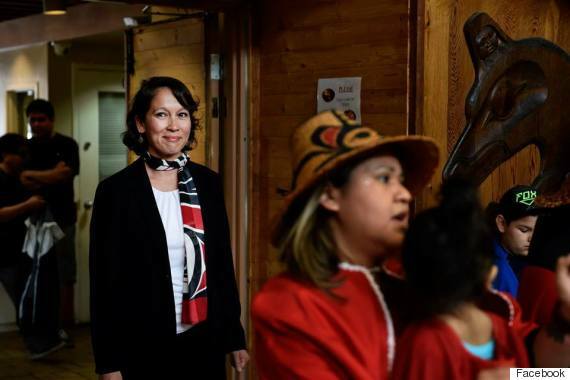 Decades later, she’s about to become the first indigenous woman to be elected to B.C.’s legislature in the province’s history. Mark, a New Democrat, snagged a seat in her party’s stronghold of Vancouver-Mount Pleasant in a byelection Monday. She handily defeated Liberal Gavin Dew and Green candidate Pete Fry with over 60 per cent of the vote. The mother of two will be replacing Jenny Kwan, who moved into federal politics as NDP MP for Vancouver-East last October. Mark was a frontrunner throughout the campaign, which was an experience that provided a stark contrast from a childhood marked with hardship. Now 40, the politician grew up in social housing in Vancouver’s Downtown Eastside — an impoverished neighbourhood known for high levels of homelessness, addiction, and mental illness. Mark’s mother — now 10 years sober — was an alcoholic. Her father was also an addict and died from an overdose when she was in her 20s, the MLA wrote in a letter published by the Georgia Straight last week. Mark, who is of Cree, Nisga’a, Gitxsan, and Ojibway descent, also had several siblings living in foster care. The future politician said she was left to support them for 16 years, working with “relentless passion” while her mother struggled with addiction. Mark was shuffled into “over 30” different homes growing up in the neighbourhood, she told the Straight. But her takeaway from it all, according to her website, wasn’t frailty. Mark, who studied political science at B.C.’s Simon Fraser University, spent years advocating for children and youth in the province and across Canada. She worked with organizations such as Covenant House Vancouver, Save the Children, the RCMP, and co-founded Vancouver’s Aboriginal Policing Community Centre. She also volunteered as president of the city’s Urban Native Youth Association, which helps indigenous youth settle into city life. Before her foray into politics, Mark worked with B.C. children’s watchdog Mary Ellen Turpel-Lafond for nearly a decade. The politician announced her bid for B.C. legislature in April. Throughout her campaign, Mark focused on youth advocacy, affordable housing, poverty reduction, and education. “I’ve never worked so hard to get a job,” the candidate told the Vancouver Courier last year. 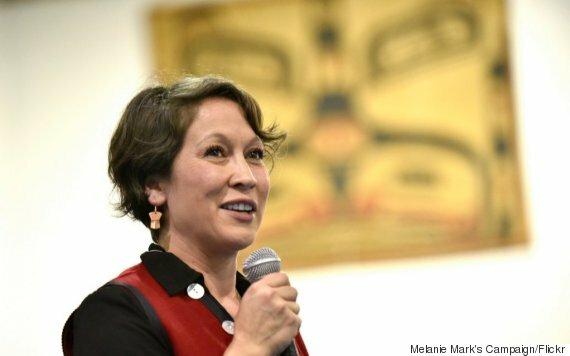 Mark’s First Nations heritage was also at the forefront — a part of her identity that shows how far the MLA-elect has come. “My early days weren’t easy. There was a lot of struggle, and there certainly wasn’t a lot of pride. I faced so much racism in school, and bullies, and really had to fight — whether that [was against] the experiences that my family confronted [or] how my brothers were treated in care,” Mark said at a campaign event on Sunday. This entry was posted in Great News, News and tagged Aboriginal and Indigenous peoples, BC First Nations, First Nations, Governement, law, politics.